We had a party last night! 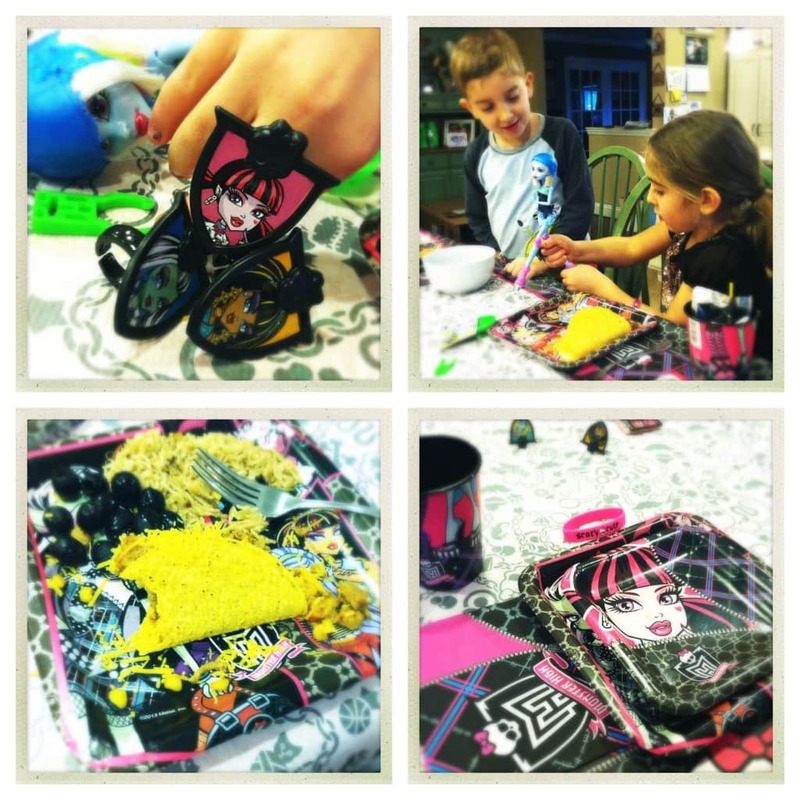 A Monster High party. My daughter was in her GLORY. She is a HUGE fan of the cartoon and now is happy to own a DVD of her own. It all started out with taco night. My kids just love taco night because they get to have full control over their meal. It’s the little things that count, right? Then it was off to the movies. Monster High, the story line that started with webisodes has now expanded into its first-ever Double Feature DVD! The newest Monster High DVD contains positive and empowering messages that you will be proud to view/share with children. I can’t stand those shows where all the children are bratty and mean to adults. It’s nice to know that there is still good programming being made for our little ones (who aren’t so little anymore). My daughter – the ham – got all dressed up for the occasion. 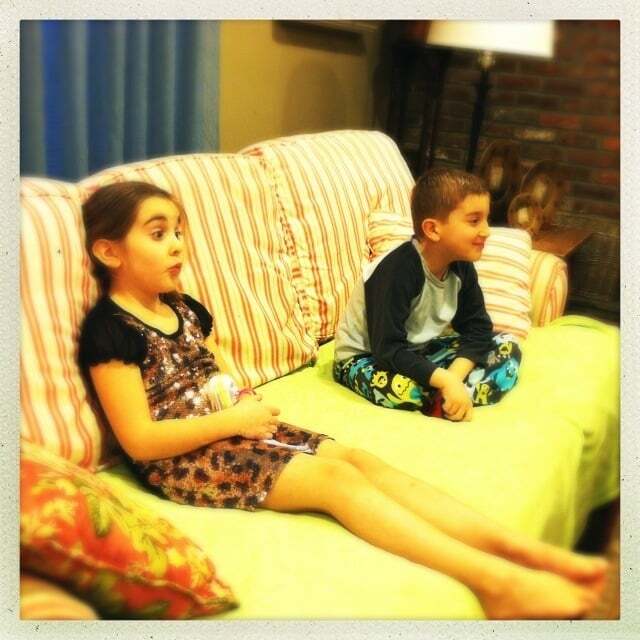 Naturally, her new friend Abbey watched the movie right alongside her. 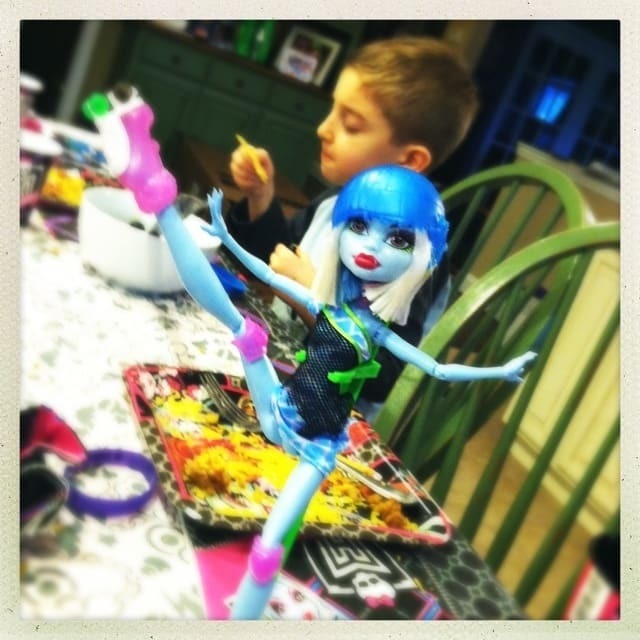 The Monster High Double Feature – Friday Night Frights / Why Do Ghouls Fall in Love? retails online for $13.86.